Enjoy the taste of refreshing strawberry banana smoothie with Straw-Nana Nic Salt, part of the latest collection from Mr Vape USA. Taste delicious strawberry banana with Mr Vape USA's nic salt formula which delivers smooth and satisfying hits. 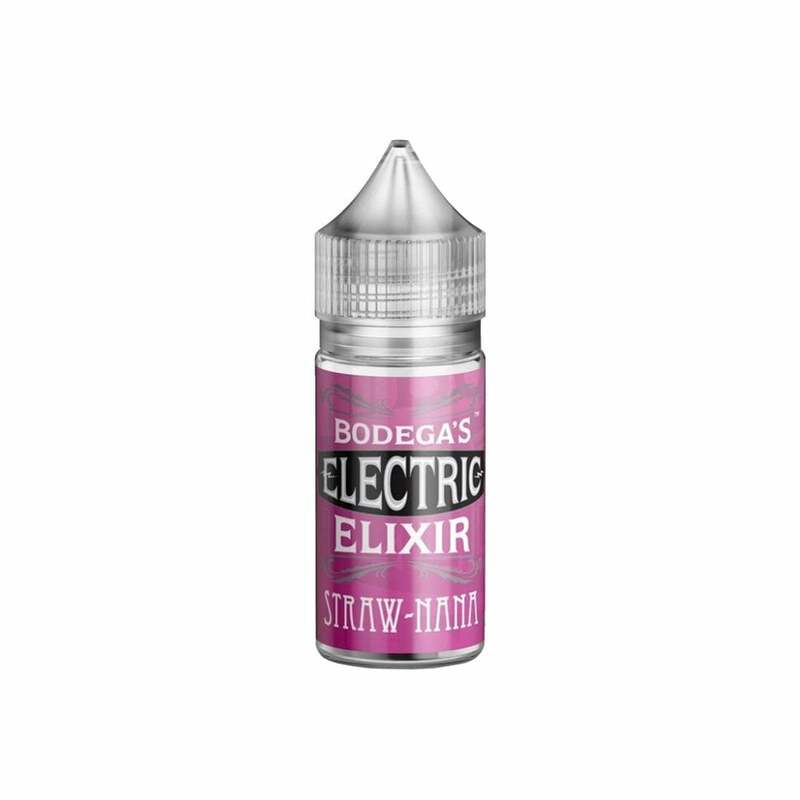 Bodega's Electric Elixir - Straw-Nana is available in 50mg (5.0% nicotine) and 30mg (3.0% nicotine) and is compatible with your favorite pod mod.